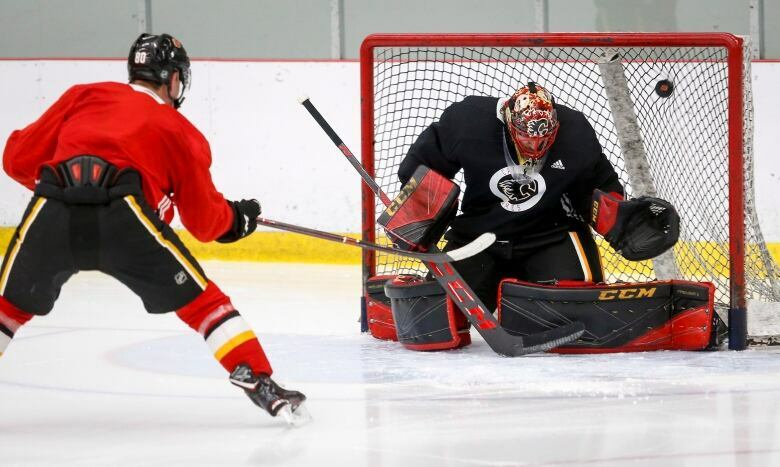 Training camp has been turned upside down for the Calgary Flames because of an upcoming trip to China. The Flames depart Sept. 11 for pre-season games against the Boston Bruins in Shenzhen and Beijing. 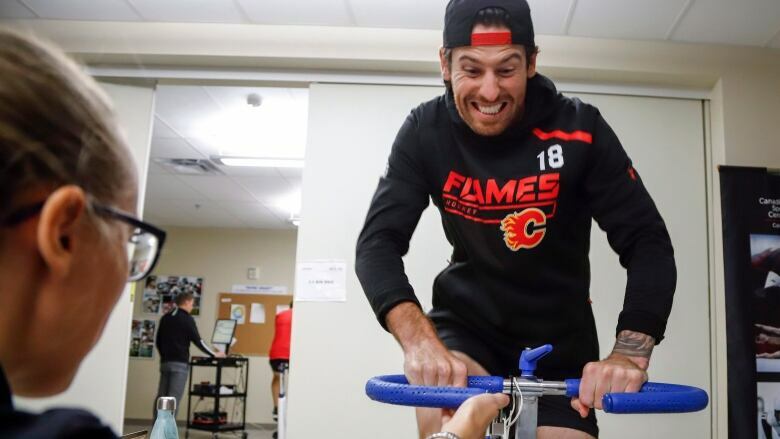 So over a week before other NHL players reported for physicals with their respective teams, the Flames were given the "voluntary option" to do testing Wednesday. "It definitely is optional and I think there was another day set up, but it's so close, or on the day we were travelling, that for us as players we wanted to get in here early," Calgary captain Mark Giordano said. "We have a long flight to China and it will be good for us to be able to recover before we get on that plane and travel for all those hours." "We'll be spending more time with each other than at a normal camp, where it's two to four hours at the rink and you go home," centre Mikael Backlund pointed out. "Here, you'll hang out with the guys for eight days straight. I definitely believe that will help this group." "Some of the names we brought in, skilled smart players I think will fit real well with me and Monny," Gaudreau said. "That's what's going to be great about China, going over there and building some chemistry with whoever you're playing with and try to get off to a good start to the season." "Them both being left shots works out great, then you're passing leftie to leftie," Neal said. "Things opens up quick and I love having a left-handed centreman. "I look forward to getting a chance to play with them. They're guys that can shoot the puck, but they're great passers." How much that travel impacts a team's reserves at season's end is a matter of debate. "That thought hadn't even crossed my mind," Backlund said. "We'll find a way to keep the energy at the same level as normal. "It's a little stressful, all the flying and the time change. We have a lot of good people around us to prepare us. They've set out on paper how we should eat and sleep and all that. I don't think it will be a disadvantage for us."